Alan F. Nelson – Nelson + Morgan Architects, Inc.
Alan is a founding Principal of NMA. In addition to his corporate business and administrative responsibilities as the firm’s CEO, he is a hands-on Principal-in Charge and is consistently involved in the planning, programming, and design direction of projects. Alan is a life-long resident of Denton. He graduated from Denton High School in 1973, and received his Bachelor of Architecture degree from Texas Tech University in 1978. He worked as an Architectural Intern from 1878-1984. He obtained his Architectural registration to practice in Texas in 1982. He is currently registered as an Architect in both Texas and Oklahoma, and has been registered as an Interior Designer in the State of Texas. From 1984 to 1990, he was a partner in a mid-sized architectural firm. During this period major clients included municipal, government, public school districts and higher education and churches. Projects included the design and construction of new churches, public schools, major additions to middle schools, high schools and university facilities. In 1990, Mr. Nelson formed Alan Nelson, Architect. This practice continued to focus on commercial projects. Clients included the local and regional churches, public schools, Universities and various commercial clients. Many of these projects are listed in the Projects section of this Statement of Qualifications. In 1995, he accepted a full time position as the University Architect for Texas Woman’s University. During this period his primary responsibility was managing and directing the facilities design, planning and construction on the four campuses located in Denton, Dallas (2) and Houston. In 1996, he accepted the additional responsibility of the Deputy Director of Facilities Management. NMA’s clients have the benefit of Alan’s unique “owner’s” perspective, which is seen as a continual influence in the practical and functional design decisions and solutions found in NMA’s work. 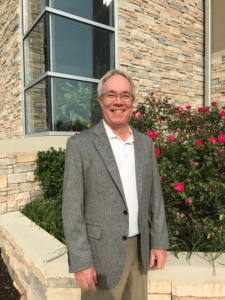 In the winter of 2002, Alan left the University and joined the staff of Isbell Engineering to assist in establishing and managing a Division of Architecture for Isbell Engineering Group, Inc. In June 2003, Alan Nelson, along with Kelly Morgan, also from Isbell Engineering, relocated to Denton and established Nelson + Morgan, Architects. 1995 Ft. Worth Associated General Contractors Certificate of Achievement, Construction Award Project for the Renovations to the Campus Theatre, Denton, Texas.